With the current generation of games consoles drawing to a close at a rate of knots — with the Wii U Wii U Games Worth Getting Excited About Wii U Games Worth Getting Excited About The Wii U just hit the market, and there's a good chance that if you didn't get one, you missed the boat. Supply shortages are commonplace with the launch of a new console. That being... Read More already in stores, and both the Xbox 360 and PS3 likely to be replaced 5 Things I Want From Next Generation Video Game Consoles [MUO Gaming] 5 Things I Want From Next Generation Video Game Consoles [MUO Gaming] The current generation of video game consoles is the longest in recent memory. The Xbox 360 came out over 6 years ago, and the PlayStation 3 came out shortly after that. Typically, a console lasts... Read More during 2013 — it’s tempting to look forward without looking back. But that would be a mistake, as the current crop of games consoles are home to some of the best games ever released on any system. At this time of year more than any other there will be a host of new console owners getting to grips with their system. And after they get bored of the games bought alongside their console of choice, they’ll need to know which titles to get next. Which is where this article comes in: what follows are the 10 best Xbox 360 games money can buy. Gears Of War 3 is probably the best of the Gears Of War games to have been released so far, and it was one of the highlights of 2011 for many. Marcus Fenix and his team are back once more to save what remains of humanity from the Locust Horde. Intense combat is the order of the day, with the use of cover and tactics essential to avoid losing the fight. Three Word Review: Bigger, badder, bolder. Borderlands 2 does everything the original from 2009 did, only better. You take on the role of one of four vault hunters, setting out to complete the main quest while also taking part in numerous side quests, all of which help ramp up your experience level. It’s a long, engrossing game which looks and feels unique. Three Word Review: Fun, funny, fantastic. 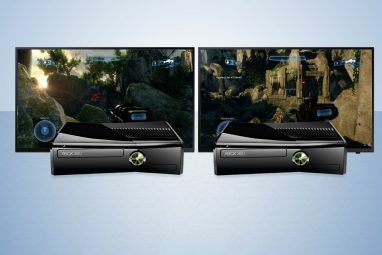 Halo: Reach is just one of a handful of Halo games available for the Xbox 360, and new console owners could do worse than buying them all. However, this title is probably the cream of the crop, with visuals and audio to die for, and a compelling storyline. Halo: Reach also turned out to be the last Halo game made by Bungie, which gives it added meaning. Three Word Review: A perfect prequel. Red Dead Redemption surprised a lot of people, purely because there hadn’t really been a great game based on and in the Wild West before. Red Dead Revolver, the 2004 predecessor to Redemption looks shallow and lacking in comparison. This is an award-winning game for everyone who, as a child, ever dreamed of being a real-life cowboy. Three Word Review: A playable western. Forza Motorsport 4 is to the Xbox 360 what Gran Turismo 5 is to the PS3… a thoroughly engrossing racing game with stunning visuals and a lot of little touches that make a big difference to the overall experience. There is a hell of a lot for fans of driving games to do, with 26 tracks and over 500 cars included. Even Top Gear gets a mention. Three Word Review: Fast, frenetic, fun. Batman: Arkham City sees the titular comic book hero escape the asylum he found himself in for the previous, only to land in a huge self-contained prison. This game stays true to the Batman mythology, with a storyline written by Paul Dini, and an impressive cast of actors voicing the characters. Which includes many of the Dark Knight’s greatest foes. Three Word Review: A playable comic. Fable III is another masterpiece from Peter Molyneux, and his trademark sensibilities are all over the game. This sequel is set 50 years after the events of Fable II, and features an epic storyline set across a sprawling landscape. The characters are voiced by probably the finest cast ever to grace a video game, and much enjoyment can be had figuring out who is who. Three Word Review: Rich, regal role-playing. L.A. Noire sees you take on the role of a rookie cop (and later detective) investigating a series of crimes in post-war Los Angeles circa 1947. You have to explore on foot, drive a selection of vehicles, chase down criminals, and piece together evidence to put the right person behind bars. The facial animation on all of the characters adds to the atmosphere. Three Word Review: Compelling crime caper. Left 4 Dead 2 isn’t for the faint-hearted, but it is for everyone who is into zombies and foresees a time when the zombie apocalypse turns most humans into living corpses. Which is everyone, is it not? You play one of four survivors looking to, well, survive. You can play alone, but the emphasis is on co-operative gameplay The 5 Best Inexpensive Co-op Games For The PC The 5 Best Inexpensive Co-op Games For The PC Games are more fun when you’re playing with a friend. That’s a fact that console games are known to use to their advantage. PC games, for some reason, are assumed to be largely solo experiences.... Read More . And it’s a thrilling experience. Three Word Review: Zombies will die. Grand Theft Auto IV needs no introduction, but it certainly deserves its place on this list. It may not have beaten San Andreas in terms of scope and atmosphere, but the adventures of east-European immigrant Niko Bellic as he works his way through the underworld hierarchy are great fun. As with all GTA games there is an endless amount to see and do. Three Word Review: Enjoy the underworld. That list represents the best of the best games available right now for the Xbox 360. It’s a mixture of exclusives and multi-format titles, all of which should grace the television screens of gamers everywhere. Whether you received a new Xbox 360 for Christmas or picked one up in another way, these are the 10 games your console should not live without. 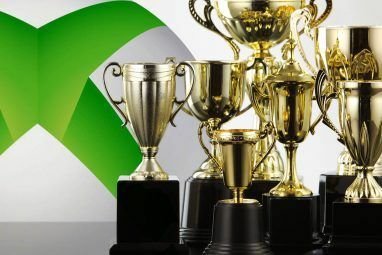 What do you think of the list the best Xbox 360 games? Are there any games included you feel don’t deserve to be there? Or are there games missing that you consider essential fodder for Xbox 360 owners everywhere? As always let us know your thoughts and views in the comments section below. 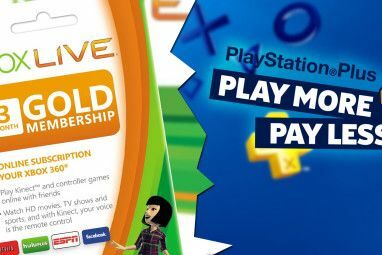 Explore more about: Xbox 360, Xbox Live. Add Skyrim.. and Halo 4 in place of Reach, of course. I would suggest people play Batman Arkham Asylum before Arkham City. Both games are amazing! I just got an Xbox 360 and I've been playing Forza Motorsport 4 and Grand Theft Auto IV. You really got it right. Ah Gears of War brings back many memories! I prefer Fable II over III and I'd definitely add Skyrim to the list. I think Fable 3 is the worst of the series, it's just too easy. It's ten times worse then Skyrim. Exactly what I needed for my Christmas shopping.Thank you. You're welcome. I assume you already have the Xbox 360 to play these gems on?